Restart - Lessons from one startup for another is a compilation of the lessons learnt while runnning Musicfellas - a digital music startup which was acquired by Times Internet Limited. These lessons come from personal experiences of the author and are hugely anecdotal. In words of the author, "This is the book I would want to read next time I start up". The book is priced as Pay What You Want. This was a payment mode we had at Musicfellas and we were pleasantly surprised not just by the transactions but by the generosity of people as well. Thus, I am happy to use it here as well. Musicfellas was an independent music discovery site and store. Starting with Indian bands, it went on to feature great new music indie bands from all over the world. It was acquired by Times Internet Ltd. in Feb &apos;14. 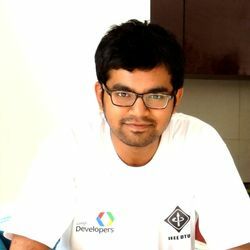 Mayank Jain was the Co-Founder and CEO of Musicfellas.com which was an indie music discovery site and store. During the 2.5 years of Musicfellas - from the first light of the idea to company acquisition, Mayank went through the usual ups and downs of startup life, learnt a lot, made some mistakes and did some good things. This book is a result of all those lessons and a desire to save them for posterity. You can find out more about the author on his website where he shares his travel experiences, recommends books and writes about his experiments with living a simpler, minimal and a more mindful life. To get a brief glimpse into what the book contains, here&apos;s a preview of the book including the first couple of chapters. The book is available in pdf format. Read more about the launch on my blog.